MUMBAI: India's new age activism didn't make it to the Oscar shortlist, but Deepa Mehta's period film on Benarasi widows did. Water, which will fight for the final Oscar nominations, is, however, a Canadian entry. 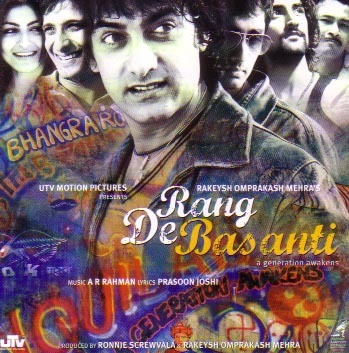 On Wednesday morning, Aamir Khan's Rang De Basanti failed to make to the top nine in the best foreign film category. "Nine films will advance in the voting process in the foreign language film category for the 79th Academy Awards. Sixty-one films had originally qualified in the category," a statement from the Academy of Motion Pictures said. The foreign language film nominations for 2006 are being determined in two phases. The phase I committee, consisting of hundred of Los Angeles-based members, watched the 61 films and chose the nine films. These are Days of Glory from Algeria directed by Rachid Bouchareb, Deepa Mehta's Water from Canada, Susanne Bier's After The Wedding from Denmark, Daniele Thompson's Avenue Montaigne from France, Florian Henckel von Donnersmarck's The Lives of Others from Germany, Guillermo del Toro's Pan's Labyrinth from Mexico, Paul Verhoeven's Black Book from The Netherlands, Pedro Almodover's Volver from Spain and Fredi M Murer's Vitus from Switzerland. The fate of Water will be decided on January 23 by the phase II committee, comprising 10 members from the phase I, joined by additional 10-member contingents in New York and Los Angeles. This committee will view the shortlisted films and select the five 2006 nominees for the category. The announcement will be made on January 23. 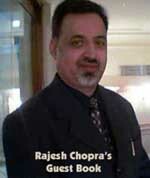 Ronnie Screwala, producer of RDB, is not disheartened. "RDB has touched and still continues to touch the hearts and minds of viewers across the world. The biggest reward has been the impact the movie has had on the youth of India and elsewhere," he said.